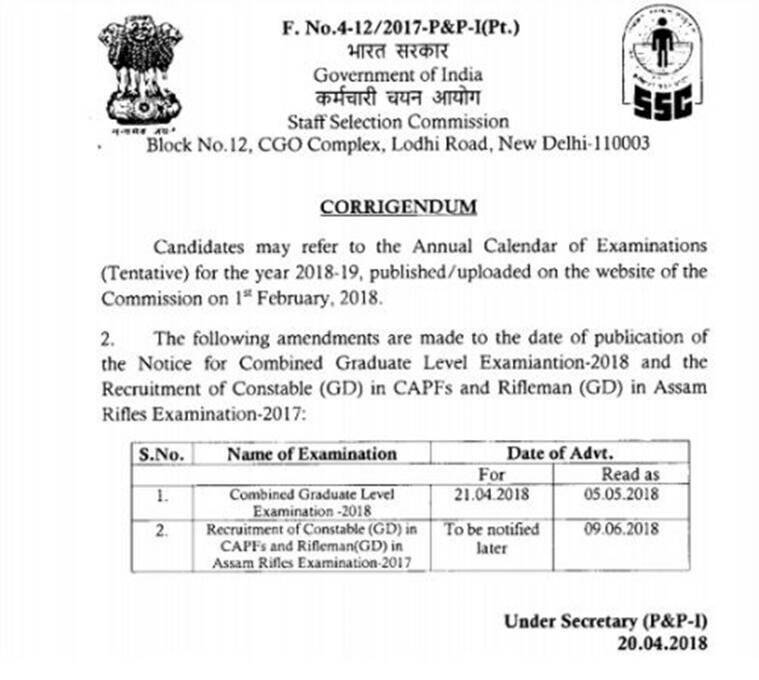 SSC CGL 2018: The examination of CGL 2017 Tier 3 has also been postponed, and the commission will conduct the examination in the month of May. The Staff Selection Commission (SSC) has released the answer keys of Combined Higher Secondary Level (10+2) examination on Friday that was conducted between March 4 to March 26, 2018. All the candidates who had appeared for the examination can check the answer keys by visiting the official website, ssc.nic.in. Set up in November 4, 1975, the Staff Selection Commission (SSC) works under the Government of India and recruits staff for several posts in the various Ministries and Departments of the Government of India and in Subordinate Offices. It has his headquarter at New Delhi, with regional offices at Allahabad, Mumbai, Delhi, Kolkata, Guwahati, and other cities.